I can’t believe it’s been 12 months since I put together my first annual poster art list, but here we are again! 2016 has been another amazing year if you have a passion for alternative movie posters, with nearly all of the highly skilled individuals we have come to know and love once again producing a constant flow of incredible art. 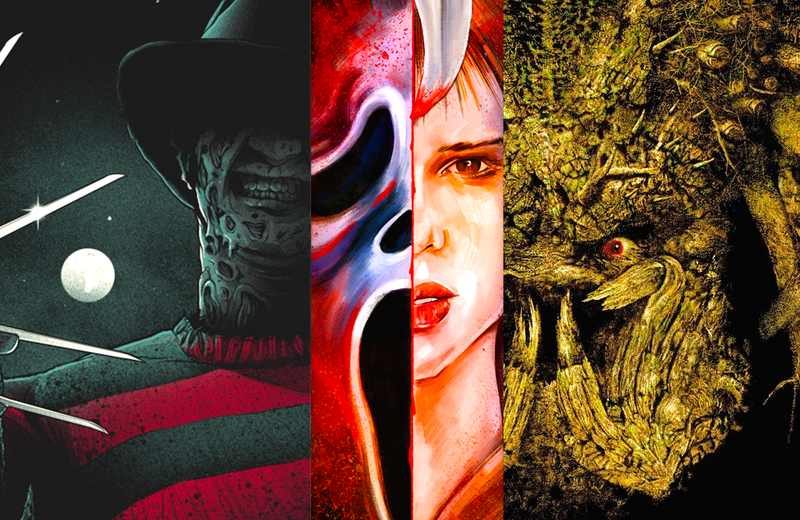 Their ideas and creativity are limitless, and today I’m revealing my personal favorite new horror movie posters that were unleashed between January and December. It was near impossible to narrow it down, but these are the select few that made me weep with joy a little more than the rest! 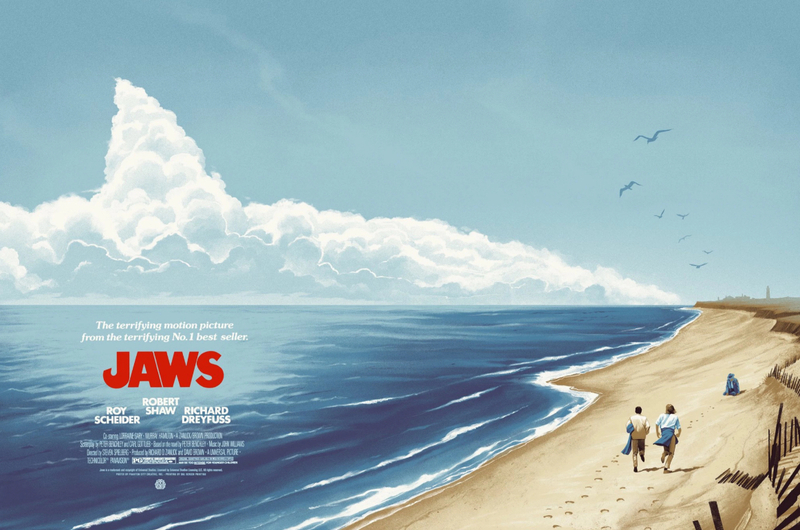 Jaws has been the subject of SO many alternative art posters in recent years, so coming up with something fresh and unique must be a genuine challenge. Phantom City accepted that challenge, and the end result is an ominous and epic tribute to Spielberg’s masterpiece that you can’t help but fall in love with. An incredible concept executed to perfection. I couldn’t help thinking of that classic line when looking at this magnificent poster by Elvisdead. 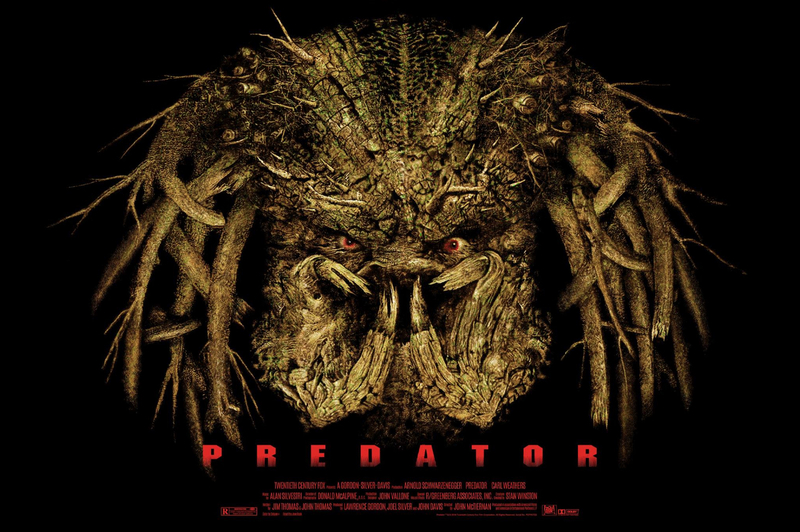 When viewed very briefly or in thumbnail form it just looks like another good quality Predator face illustration. But give your eyes a few seconds to really start absorbing all the details contained within, and you suddenly realize you’re looking at the familiar presented in a seriously clever and unique way. It’s just beautiful, and I believe it was created using a scratchboarding technique, meaning it was meticulously engraved onto a surface to create the image! 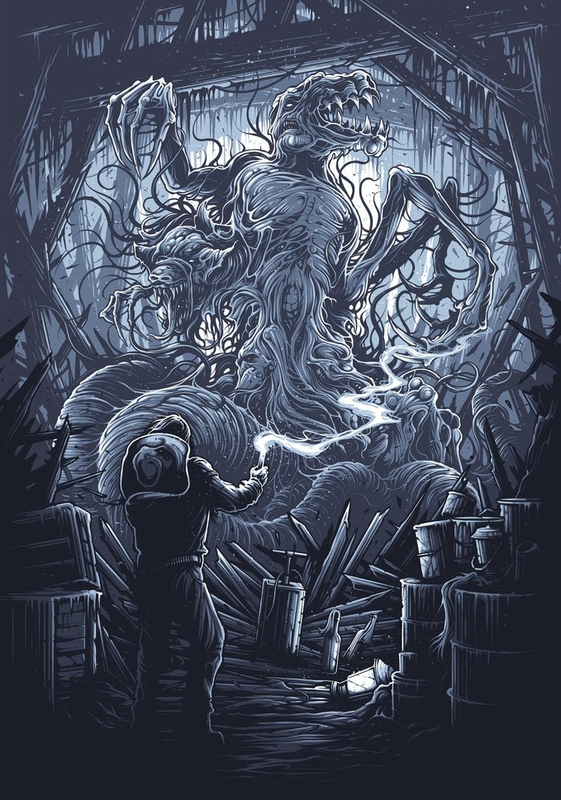 I could have put together an entire list just featuring work Dan has created this year, but there was one piece that blew me away slightly more than the rest, and it’s his writhing and furious tribute to the climax of John Carpenter’s The Thing. It’s one of those movie moments that Dan was born to illustrate and recreate. 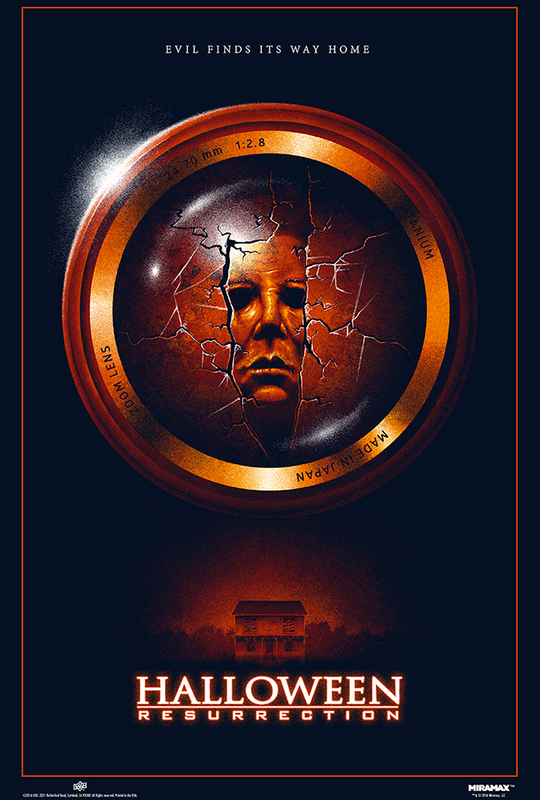 I’m not sure Halloween Resurrection deserves a poster THIS good, but thankfully Adam didn’t feel the same way, and the end result is a spectacular vision of Myers that has become an instant favorite of mine. The rich shades of red and orange combined with the shadows and texture make it a poster that really packs a visual punch, and it MIGHT just be the coolest creation I’ve seen this year. If I could present an award for the most consistently brilliant artist in the poster game right now I’d give it to Matt without hesitation. EVERY SINGLE poster he produces makes you sit back and gently sigh with pleasure as you marvel as his design choices and talent. 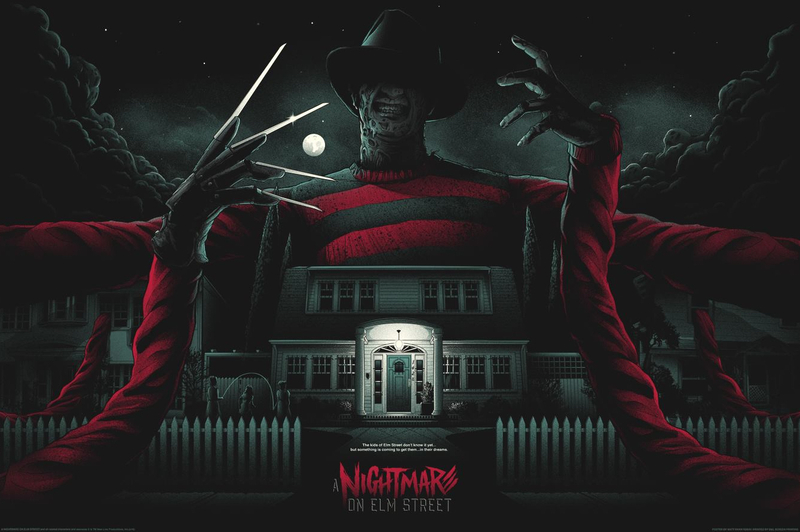 Freddy’s elongated arms are an iconic demonstration of his ability to manipulate the dream realm, and the quiet suburban scene below instantly fills my mind with memories of scenes from the original movie. Sublime work from one of the best out there. 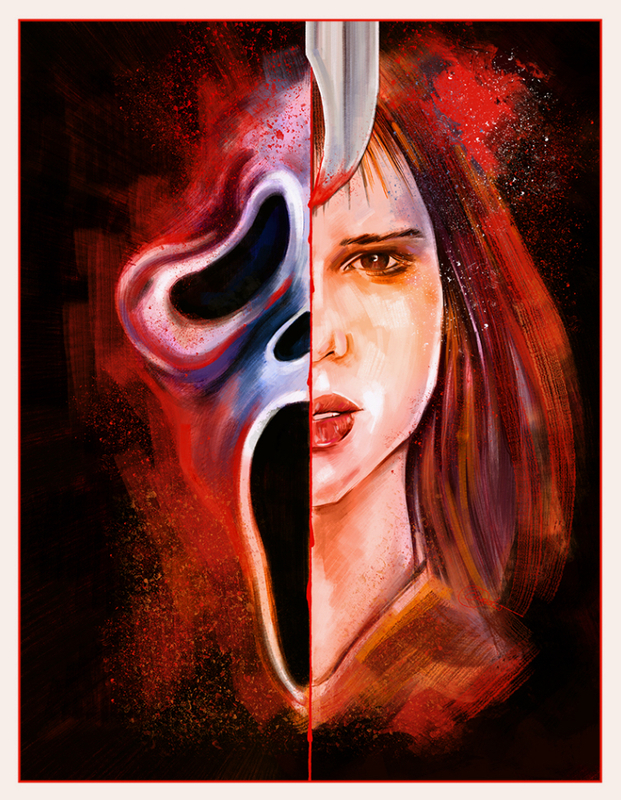 Earlier this year Matthew began work on an ongoing series of posters he called ‘Final Girls & Cinema Survivors’, and this stunning Scream illustration was the first to be released. I’ve admired his work for quite some time, so it was very pleasing to see this exciting project get plenty of exposure and praise. Vibrant, awesome and OBTAINABLE art, Matthew delivered in style during 2016. Here we have TWO stunning posters by Matt, which were sold as a set because of the awesome way the images connect and reveal the passage of time. 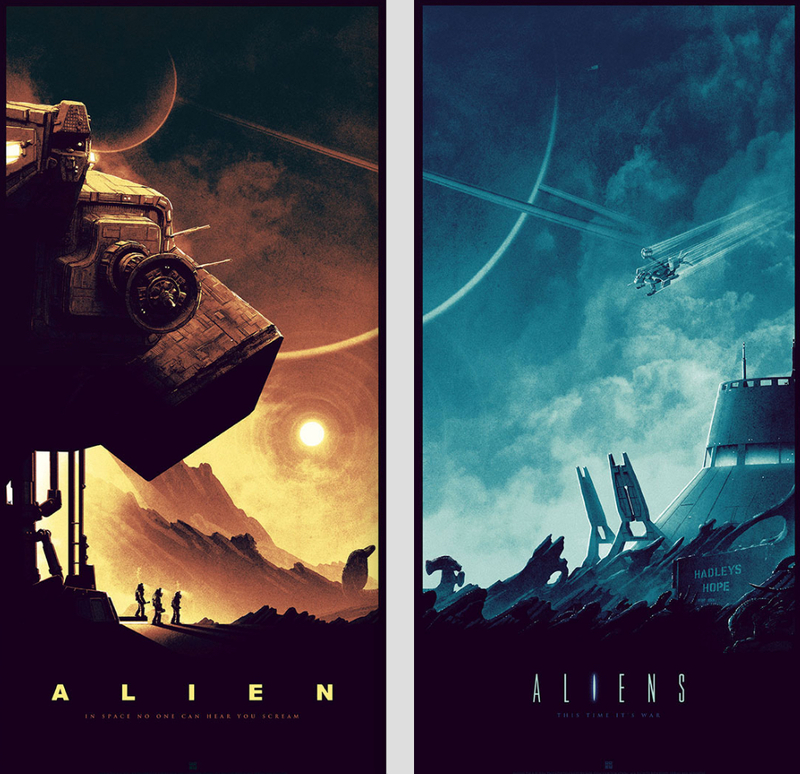 We’ve seen this infamous and deadly planet featured on posters for the two original Alien movies before, but I don’t think I’ve ever seen it utilized quite so perfectly. The color choices feel very appropriate, and there are a couple of tiny little treats hidden away to reward fans who take the time to really study them. We finish with this wonderfully dark and atmospheric art by Mike, which was one of the first posters to truly knock me off my feet this year. 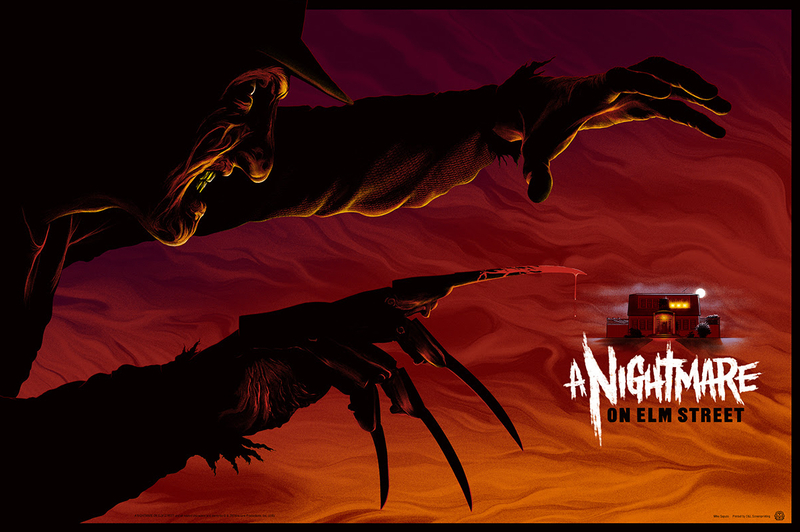 This is Freddy at his terrifying best, with the colors, shadows and detail all working together to form a poster that was universally praised and admired. Farewell 2016, I can’t wait to see what comes next!